AccountSight provides out-of-the-box pre-defined time-off tasks. If the pre-defined tasks don’t meet your requirements, you can set new ones and ignore the pre-defined tasks. Select the Time-off check box for Time-off tasks. 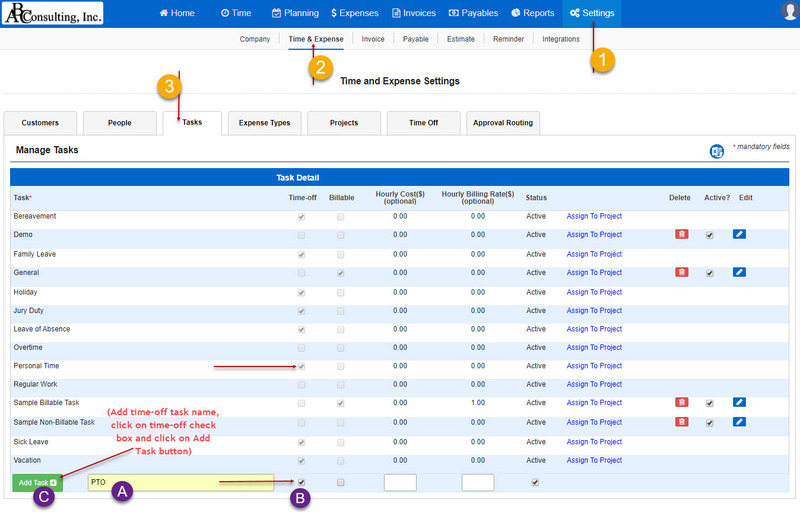 Navigate to the time-off policy screen to setup time-off for your organization. Enable the check box of the required task your organization will use and save it. In the People settings we can set the time-off policy. 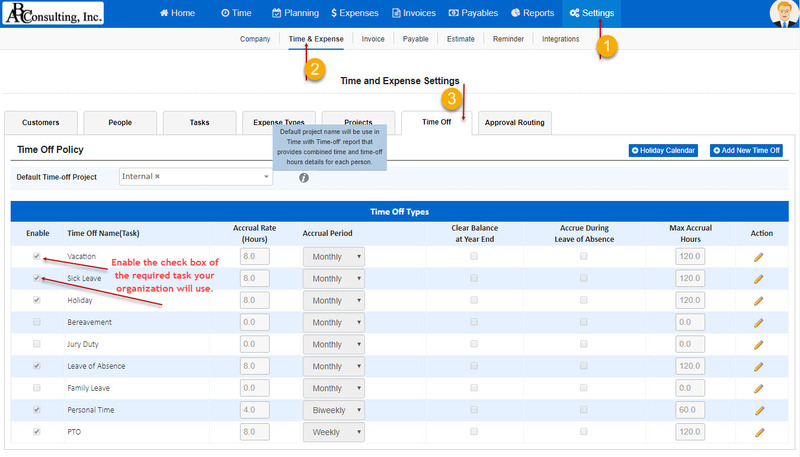 Time-off types defined for your organization in the time-off policy screen will appear as default on the employee setup if you select ‘Set Time-off Policy’ as Yes. You can enable, disable and/or set policy for each employee differently. You can also set the approval path in the people settings. 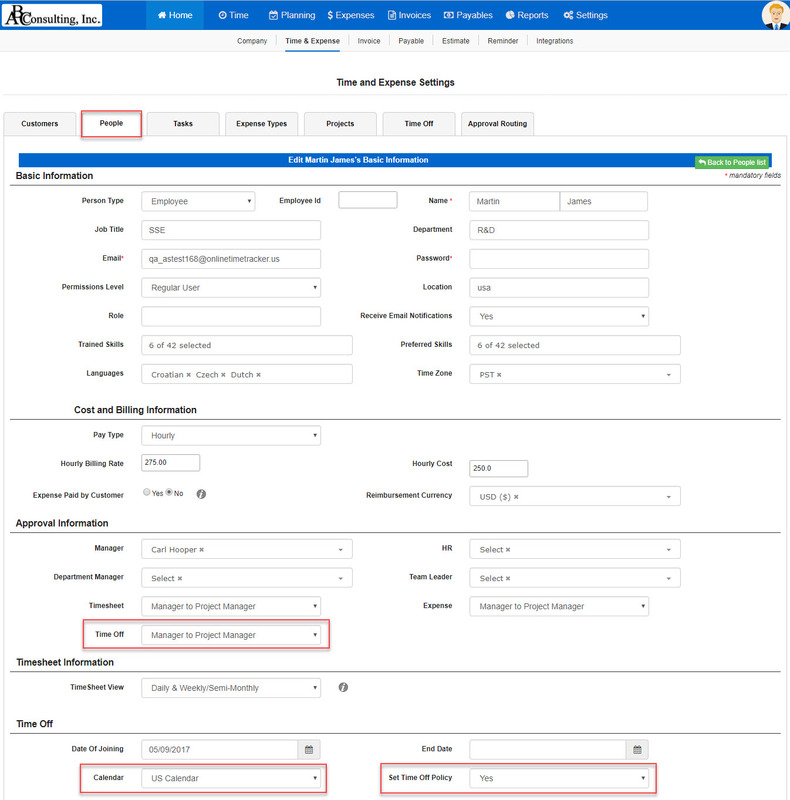 You setup the default time-off approval routing for your organization in the ‘Approval Routing’ screen and change it at employee level if the time-off approval path is different for different employees. You can also select the time-off calendar. Multiple time-off calendars can be defined in AccountSight.